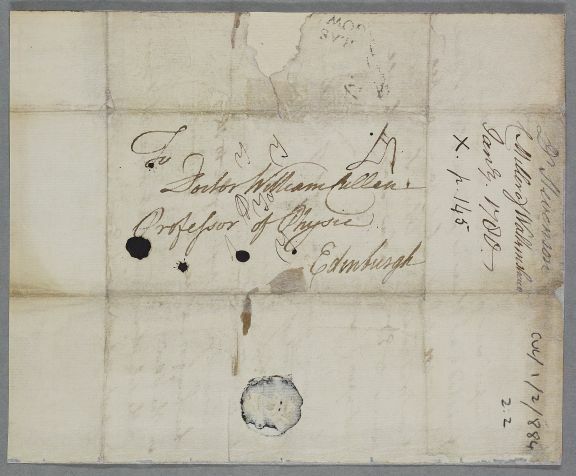 Letter from Alexander Stevenson concerning the case of Mr Millar of Walkinshaw. Refers to Millar's nephew. 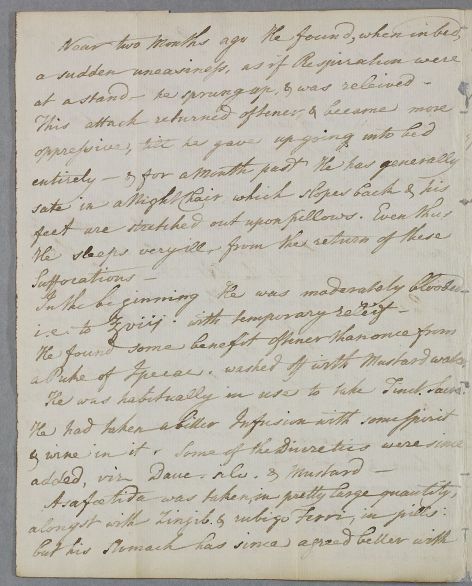 Postscript reports on Prof. Alexander Wilson's measurements of sub-zero temperatures overnight at Glasgow. 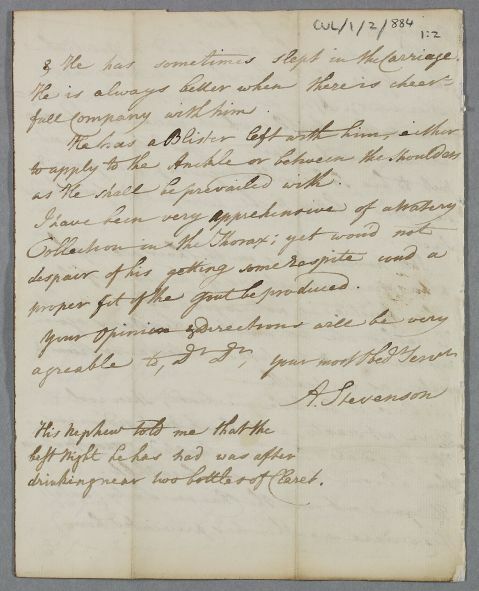 Summary Letter from Alexander Stevenson concerning the case of Mr Millar of Walkinshaw. Refers to Millar's nephew. 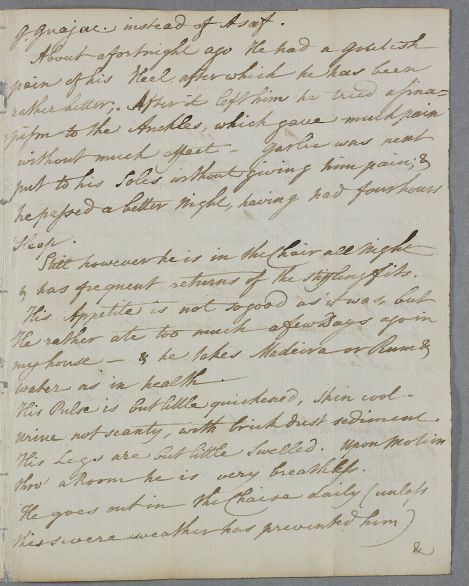 Postscript reports on Prof. Alexander Wilson's measurements of sub-zero temperatures overnight at Glasgow. 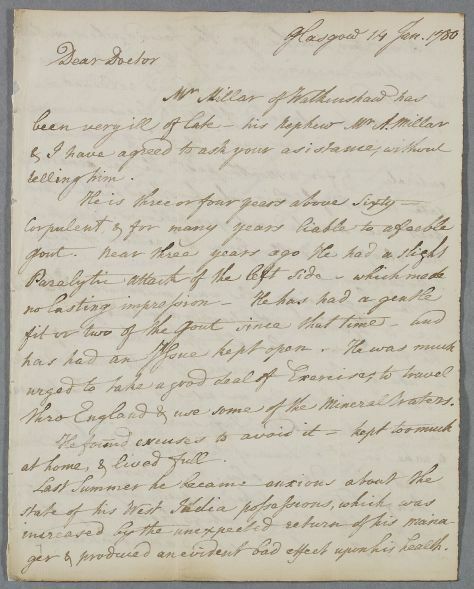 Case of Dr William Miller of Walkinshaw who has gout. thro England & use some of the Mineral Waters. at home, & lived full. ger & produced an evident bad effect upon his health. a Puke of Ipecachuana. washed down with Mustard water. g. guiac instead of the Asaf. & has frequent returns of the stifling & fits. His Pulse is but little quickened, skin cool. urine not scanty, with brick dust sediment. thro' a Room he is very breathless. 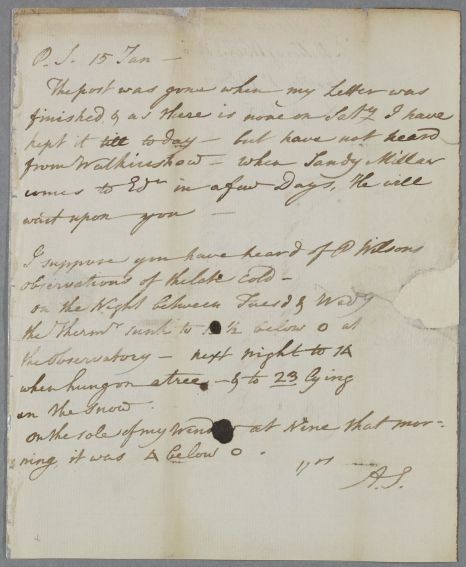 & he has sometimes slept in the Carriage. as he shall be prevailed with. a proper fit of the gout be produced. drinking near two bottles of Claret. a Puke of Ipecac. washed down with Mustard water. on the Night between Tuesd & Wedy.